In the world of movies, marketing can determine whether you have a hit on your hands or if you don't. In the last few years, certain movies have broken long-standing box office records. The scripts are great, the action is thrilling, the performances riveting - but so too is the inventive marketing. Today's movies are not only breaking records, they're breaking all the rules. The movie A Quiet Place posed a formidable marketing challenge. The horror movie - directed by and starring John Krasinski - is about aliens who terrorize Earth by hunting humans. But the creatures can't see, they can only hear. It's a terrific achievement as a film because it tells a taut, tension-filled story with virtually no dialogue. And that was the problem for the marketing department. There are only five minutes of spoken dialogue in the entire film. How do you cut trailers when you don't have the fundamental dialogue elements that would make up a traditional marketing campaign? When planning that first trailer, a crucial decision was made: not to show the aliens. Seeing them would require the price of admission. In the subsequent trailers, we're given a little more information. We hear a news report saying a devastating invasion has happened around the world. We see Mom is 9 months pregnant – prompting the immediate question – how will she give birth silently? We see the tag line: "If they hear you, they hunt you." The lack of dialogue forced the marketing team to use silence to their advantage creatively. That first trailer aired during the Super Bowl in February of 2018 to an audience of over 100 million. The marketing team created mini-trailers on social media using shimmering audio waveforms that expanded to show silent footage from the movie. They created an interactive "Press & Hold" feature on Facebook, where mobile users could press a red button and watch tension-fuelled scenes from the movie. Instagram asked followers to turn off their sound before watching the trailers. And an innovative app was created that actually listened to you and your surroundings. It challenged you to stay absolutely quiet – then it would rate you one of two ways: Either you are safe. Or you are hunted. 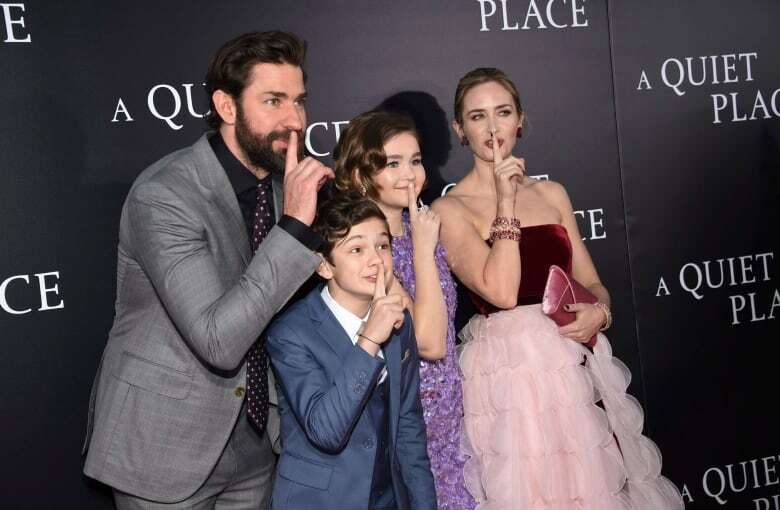 The results of that creative marketing were record-breaking: A Quiet Place had a $50M opening weekend. That was $20M more than the studio had projected. It was the best opening weekend in history for an original screenplay horror movie. It was also the third highest opening weekend for a horror movie of all time – behind only It and Paranormal Activity 3. Part of that success was because the film drew a wider audience than usual for a horror film - which typically attract an audience age 13-34. But stars Krasinski and Emily Blunt appealed to a broader audience with 20 per cent being over the age of 50. It was a horror film for grownups. 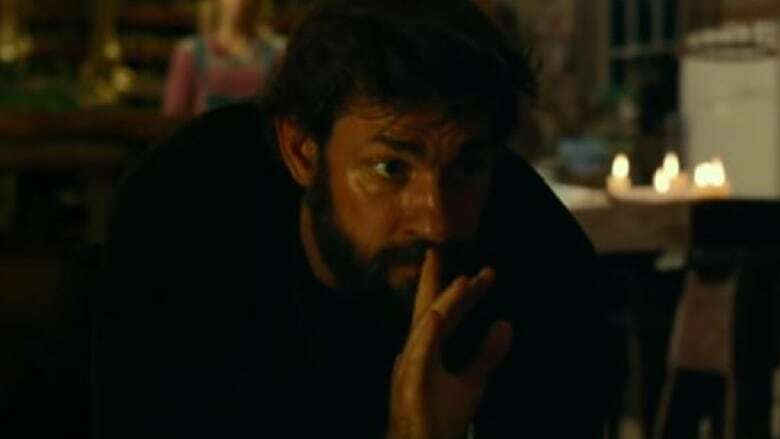 So far, A Quiet Place has raked in over $334M at the box office. Remarkable - considering it only cost $17M to make. One more fascinating side note: Audiences were afraid to make a sound during the film. Silence was imperative to the theatre experience. That meant crinkly candy wrappers and crunchy popcorn weren't welcome sounds – and audiences would turn on anyone making noise. Meaning - A Quiet Place made money for the studio, but not so much for theatres – because people stayed away from the concession stands. For more innovative movie marketing stories from films like Black Panther and Deadpool, click or tap on the "Listen" tab to hear the full Under The Influence episode.